The Yamaha P-series might arguably contain some of Yamaha’s best digital pianos. From the P-155, P-35, P-95, and P-105, to the DGX-640, many pianist hands have been delighted to spend just a little bit of time with these works of art. I myself have been captivated by a number of these, but I’ve recently let my eyes settle on the beauty that is the P-35B. This machine has totally blown me away, and after my latest run-in with it I’ve been coveting having one all to myself in the near future. I’ve been searching for a specific Yamaha machine that delivers in the areas of affordability, class, design, and quality. I no longer have any doubt that the P-35B delivers in every one of these areas and more. I found this machine at one of my local music stores, and after sitting down with it I felt like I wouldn’t be able to get up. I usually begin my reviews of digital pianos with their design and style, but I have to start with the thing that surprised me the most: the sound. One thing I have come to realize is sometimes you may not be getting the most out of a machine because you just don’t know what to do with it. And surely for some time I have been playing around! While I was at the store one of the sales representatives sat down on the P-35 and was making sweet love to it. At least that’s what it sounded like in my ears. I always believed I had a little bit of skill on the piano, but he was making this thing sing. He was using the second electric piano tone, and it sounded as if he was playing an authentic Fender Rhodes. Below, compare the very affordable Yamaha P Series P-35 to the best pianos in its class based on weight, price, and even customer reviews from Amazon.com. Please note: The Yamaha 45 has replaced the P-35. 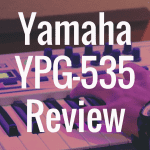 Click here for our in-depth review of the Yamaha P-45. 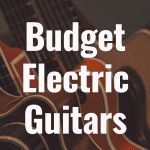 The P-35 has ten voices in all, and it wasn’t just that electric piano sound that wowed me. The first grand piano sound is absolutely amazing. It has the exact sound of an acoustic piano, and has been mastered by Yamaha with recorded samples from full concert grand pianos. There’s also an alternative grand piano, which has a more clear and modern sound. The first electric piano has a modern, FM synthesis construction, and the second is what I heard the store rep playing, which has the vintage sound of metallic tines being struck. There are two wonderful pipe organs, a spacious string section, two harpsichords, and a vibraphone to finish it off. The machine doesn’t have too many bells and whistles, but it does provide a few effects that can be used. There are four different types of reverb – sorry, no chorus effects – with a dual/layer function, transpose function, and metronome control. I had a lot of fun experimenting with the electric piano sound layered on top some strings, which made me feel like Herbie Hancock for just a moment. Needless to say, I quickly snapped out of it. The sounds are supported by Yamaha’s own Advanced Wave Memory (AWM) Stereo Sampling technology. Yamaha’s AWM system brings to life three layers of full concert piano samples and puts them at the disposal of the responsive touch of the piano player. Whoever may be in control of the machine, whether playing pianissimo or fortissimo, the AWM system allows the piano to respond accordingly and foster the best possible performance. The P-35, however, only comes with 32 notes of polyphony, but in my time playing the machine I didn’t run into any dropped notes. The simple and straightforward tones of the P-35 are a great representative of its smooth, sleek design. This digital piano has sort of the minimalist concept of many digital pianos, in that it doesn’t have many buttons at all, and is controlled using a function button and any configuration of keys. On the surface of the piano all you’ll find are power button, a volume slider, a grand piano/function button, and long slits for the speakers, plus the Yamaha logo. That might not be enough for some people, but I think it’s a wonderful fit for this piano. The keybed of the P-35 is supported by Yamaha’s Graded Hammer Standard (GHS) action system, which allows piano players to maintain healthy habits while not falling out of touch with the real feel of a piano. While it’s not Yamaha highest end system, the GH3, GHS provides more than enough weighted balance of keys while replicating the real hammer action of an acoustic piano. The keys are also graded along the length of keyboard, with heavier keys towards the bass and lighter keys towards the treble. The P-35 also has standard, 88-key digital piano size to it. It has a customary length of 52 inches – almost four and a half feet – and a length of about 11 inches. It also weighs at about 25 pounds, so there shouldn’t be any problems when it comes to finding a place for it to stay in your home or transporting it to different locations. There are a number of accessories that can come with the P-35, some of which add to its design. The P-35 only comes in a nice black finish, so the Yamaha L-85 stand would be a perfect match to assemble with the machine. For sustain, you can purchase the Yamaha FC4 piano-style sustain pedal, or go with the FC5 Foot Switch Style sustain pedal. Both are great options in my opinion. The piano comes with a standard quarter inch headphone jack, so it also would be suitable to purchase a pair of studio-style headphones for the best listening experience. Unfortunately, the P-35 does not have any type of USB capability. 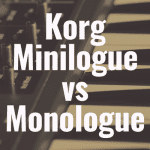 It does, however, have an input and output MIDI ports, so you will be able to connect with any kind of computer or tablet, or even another MIDI device. The machine can also be used as a viable MIDI controller with up to 16 different MIDI channels. The truth is, everybody is not going to be as excited as me when it comes to the Yamaha P-35. I really don’t expect them to. That’s the beauty of musical instruments: inspiration and connection can strike you at any time, and you’ll never know what exactly makes the bond between a man and his piano. However, even if nothing written here sparked anything, an amazing low price of $450 for a digital piano of this quality should raise even the staunchest of eyebrows. You can purchase the Yamaha P35 right now, while supplies, last on Amazon for less than $500. 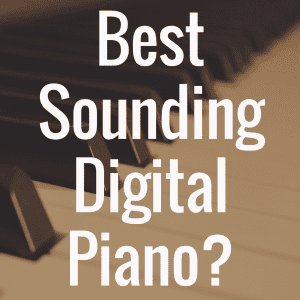 What’s the Best Yamaha Digital Piano? 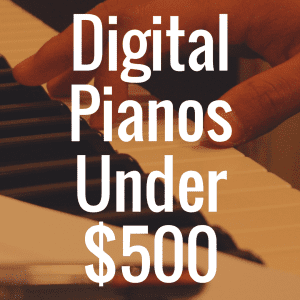 What’s the Best Digital Piano Under $1,000? 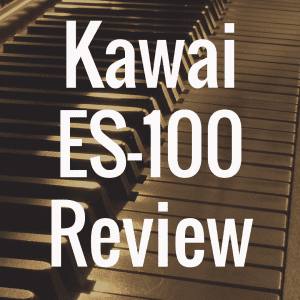 For more digital piano reviews, be sure to revisit our website. Thanks for reading. Yamaha YDP-143 vs Yamaha P-125: Which is Better?